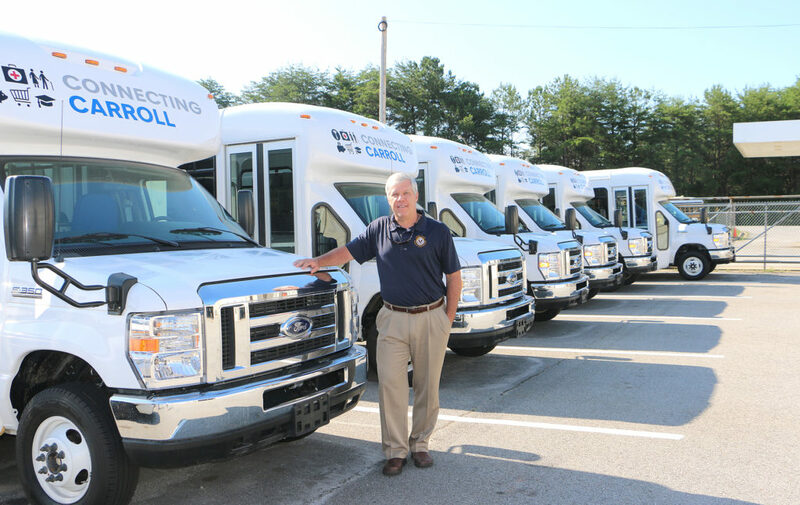 Carroll County Commission Chairman Marty Smith stands by the six Carroll Connection vans that are ready to roll. Service will begin Monday, July 2. A long-anticipated low-cost transit service for Carroll County residents will begin operation July 2. Carroll Connection will provide one-way or round-trip transportation for county residents to any location within the county. The cost is only $3 for one way or $6 for a round trip, no matter the distance. The Carroll County Board of Commissioners is partnering with the Three Rivers Regional Commission to offer the service, a program similar to others operated in most counties in the state. It is primarily federally funded through a rural transportation grant that requires a local match. Carroll County’s anticipated annual cost will be about $35,000. Commission Chairman Marty Smith said he anticipates the service to be fully embraced by the community, especially by those who are in dire need of such a program. Described as a “door-to-door” instead of a mass-transit operation, the service will be available Monday through Friday, except holidays. Morgan said there are no set routes; travel is determined by the needs of the day. Because of the fluid nature of the service’s daily operation, participants must make an appointment for pickup at least 24 hours in advance. Six vans have been purchased to ensure timely travel within the county. They all will seat up to 10 people and are equipped with wheelchair lifts to accommodate all riders. 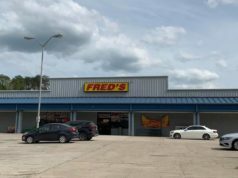 To introduce citizens to Carroll Connection, “Ride Along Day” will be held Sunday, July 1. A ribbon-cutting ceremony will be held next to the Carroll County Courthouse parking deck at 12:45. Following is a tour schedule from 1:30 to 3 p.m. at various locations in the county: Bowdon, Carrollton, Mt. Zion, Roopville, Temple and Villa Rica. The tours will be short, only about five to 10 minutes, with the vans returning for the next group of riders. The Carrollton van’s tour will begin and end at the courthouse parking garage at Tanner Street. The Bowdon, Mt. Zion and Temple tours will have pickup/dropoff at the communities’ senior centers. In Roopville, the tour pickup/dropoff will be at the post office. In Villa Rica, pickup/dropoff will be at the Mill Amphitheatre. 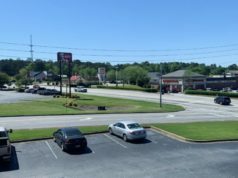 A second celebration will take place in Whitesburg Saturday, July 7, from 1:30 to 3 p.m., held in conjunction with the city’s annual Fourth of July festivities. Temple resident Gail Morris said the transit service would be a great benefit for seniors in Carroll County. To learn more about Carroll Connection or to schedule a ride, call 1-844-RSVP-VAN (844-778-7826). 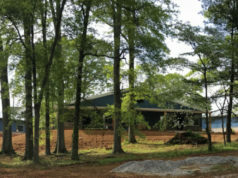 Details are also available on Carroll County’s website: www.carrollcountyga.com.